Can you believe it? 2017 is almost over and I don’t know about you, but I am ready to say goodbye to this year. I don’t like to rush things, but I am ready for a new beginning. 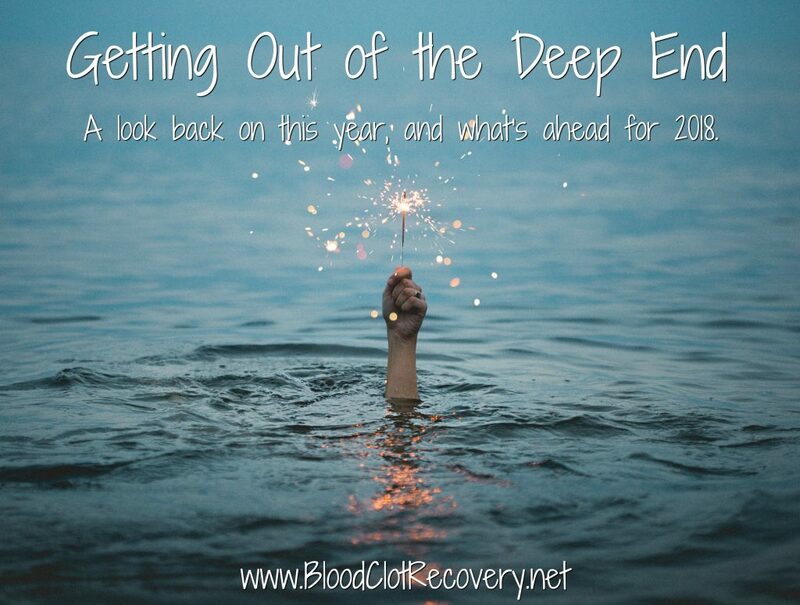 A lot of 2017 felt like holding my head above water as a struggled in the deep end on the sea of recovery. Don’t get me wrong, 2017 was an amazing year, and I did some things that I never thought I would since my blood clot diagnosis. 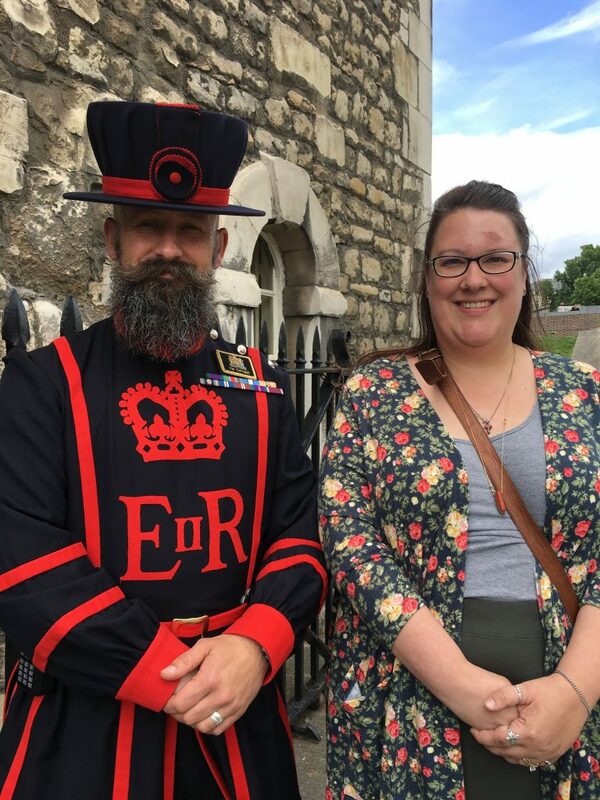 I conquered one of my greatest fears – traveling abroad on blood thinners – when I flew to London and toured the UK for 11 days. 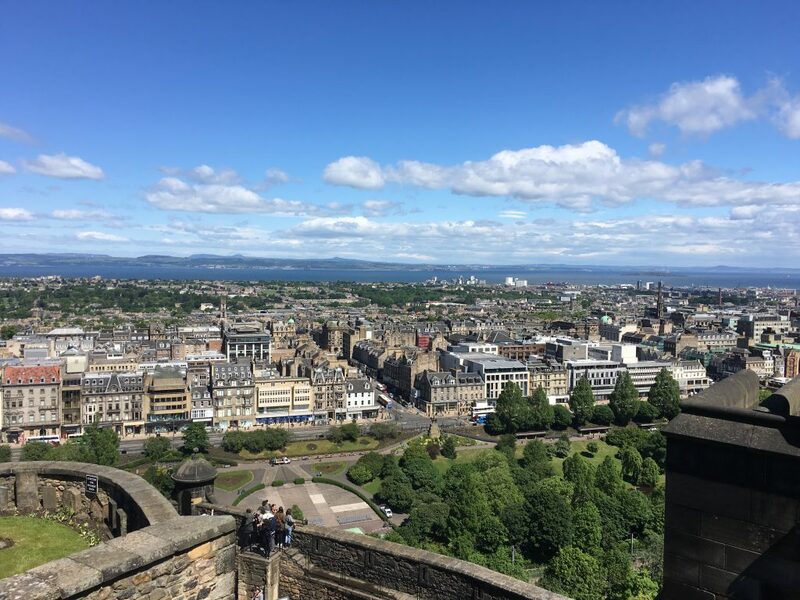 Among the highlights of things I saw was the stone circle at Stonehenge, the Roman Baths, countless castles and cathedrals (my personal favorite), and the city of Edinburgh in Scotland. 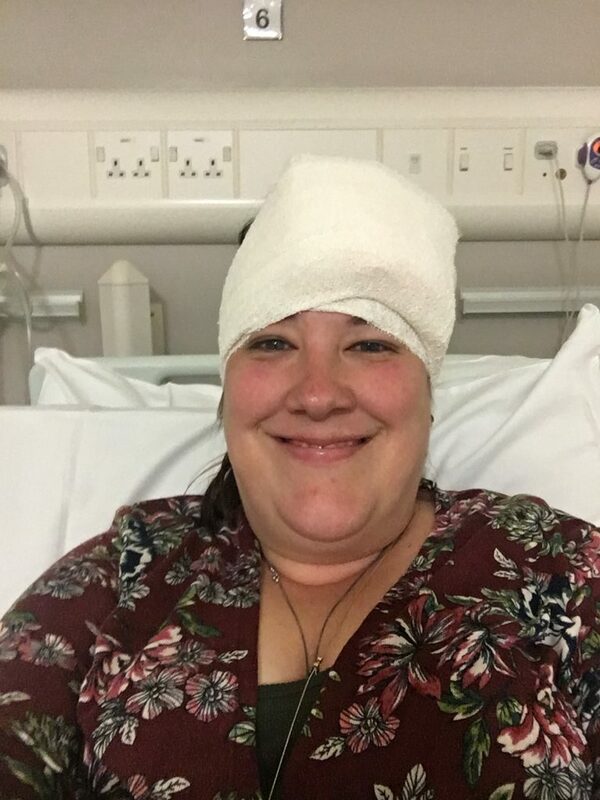 Traveling overseas was a great fear of mine, primarily because of, “what if something like a blood clot happened so far away from home?” From there, I could think of a thousand other things that could go wrong on an overseas trip. 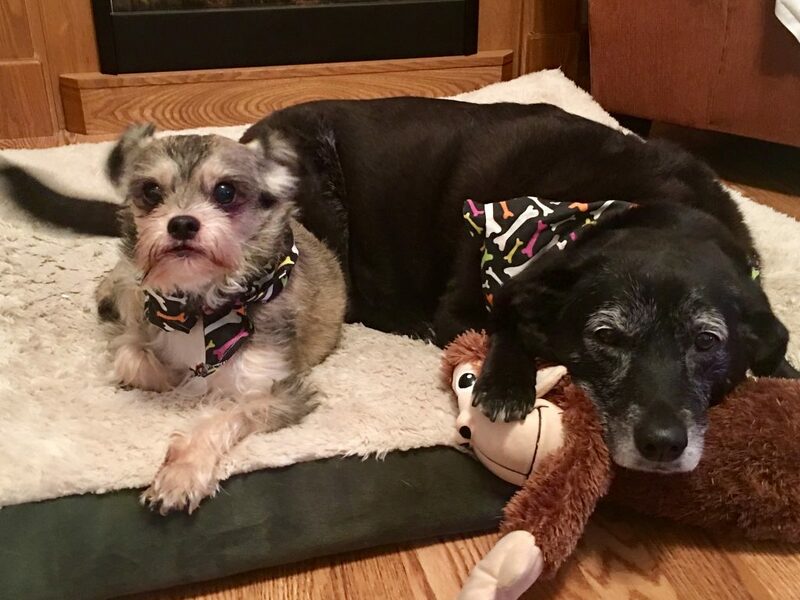 From the long flight, to a blood clot, to an unexpected injury, illness, or other unforeseen natural or planned disaster, the bad things that could happen added up quickly in my mind. I worried a lot about whether or not I should go, and about what I would do if the unthinkable happened. I planned and prepared as best I could, and finally decided I couldn’t pass up the opportunity of a lifetime to see things that I had only read or dreamed about. 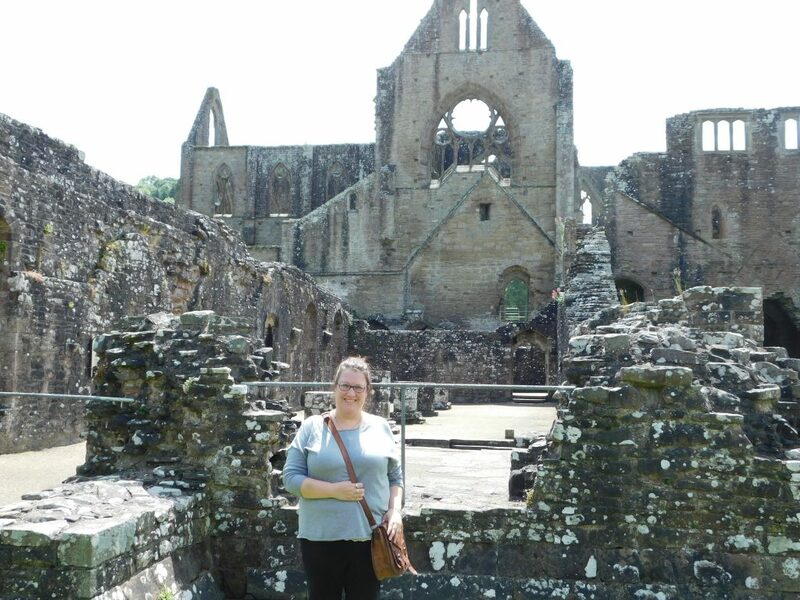 I almost regretted my decision to go after being delayed on the tarmac – on the plane – which turned my eight hour flight into a 12-hour ordeal, but once I made it to Europe, I was able to relax and have fun. Until the second to last day of our vacation when I had a very scary – and my personal “this is the worst-case scenario” – experience occur. 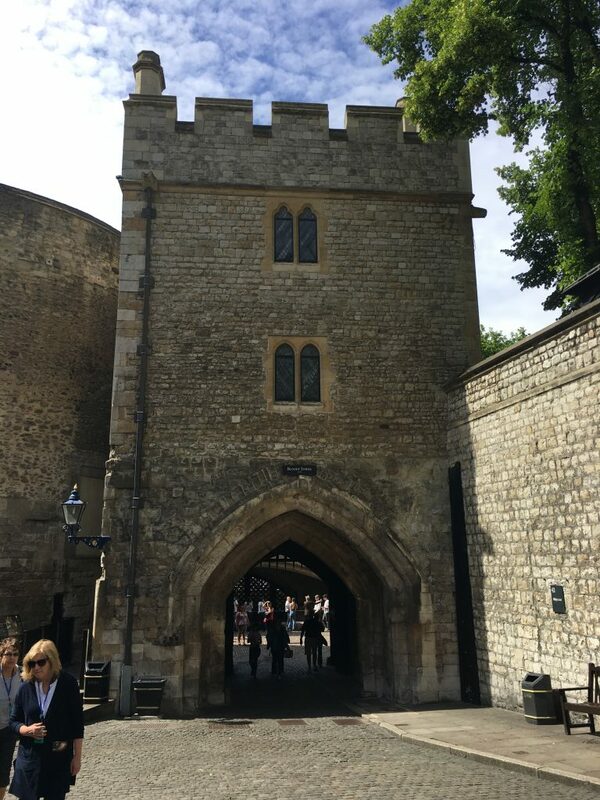 Much to my own disbelief, I fell and hit my head against a stone wall at the Tower of London. I had an immediate goose egg, blurred vision, and headache. I knew I needed to seek medical attention, and I did, just as soon as the taxi could get me to the hospital. I think I was too terrified to act, but thankfully, I had my family with me throughout the entire process. I had a CT scan at the hospital and was partially admitted for observation for 11 hours. I did not have bleeding, or an internal head injury. The biggest worry was my flight back home due to potential not-yet-seen bleeding complications, which did not happen. The flight home ended up going a lot smoother than the flight there. 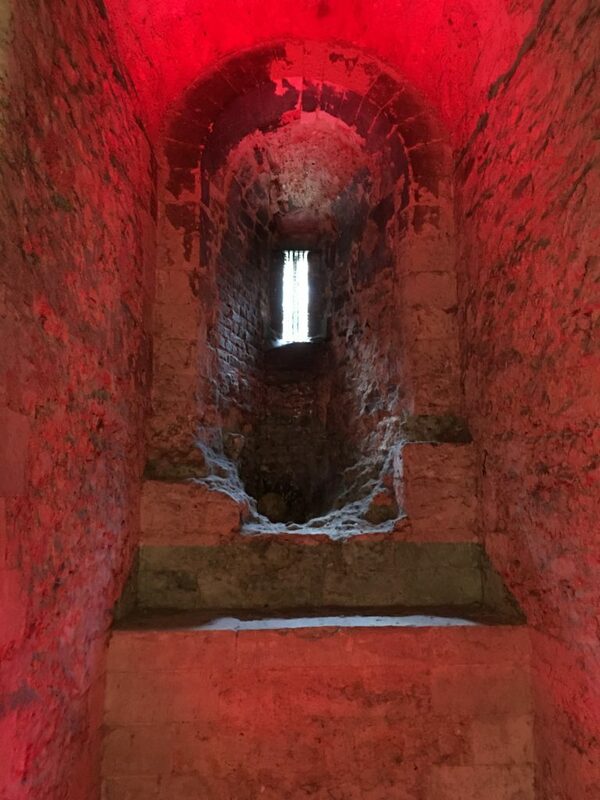 Experiencing one of my worst-case scenarios – and having a good outcome, because I was prepared for the possibility – has definitely helped to ease my fear and anxiety. Bad things can happen, even far away from home, and I will be okay. It was a great year for my personal growth, as well as a patient leader and blood clot advocate. I am thrilled to say I was able to speak to two very different audiences this year, both which challenged me to think about how I share my story in new and different ways. One audience was chemists and medical professionals in San Diego, California and another was women with diabetes in Washington, D.C. As a result of my experiences this year, I feel that I am better prepared to continue providing information and support to even more people. 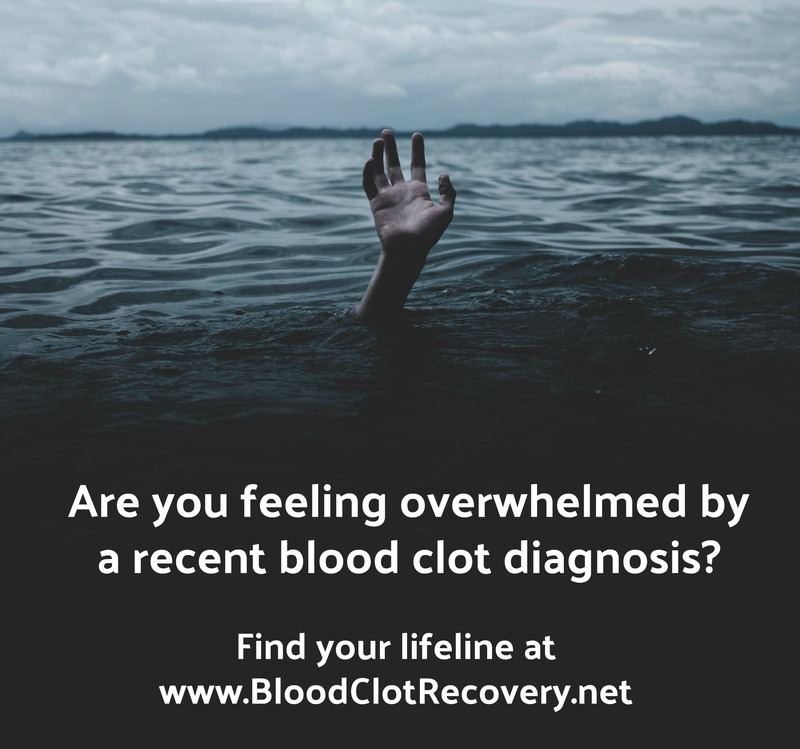 Blood clots can and do affect anyone, and I hope that by sharing my story, I am able to provide life-saving information to someone who may not have known about blood clots before. 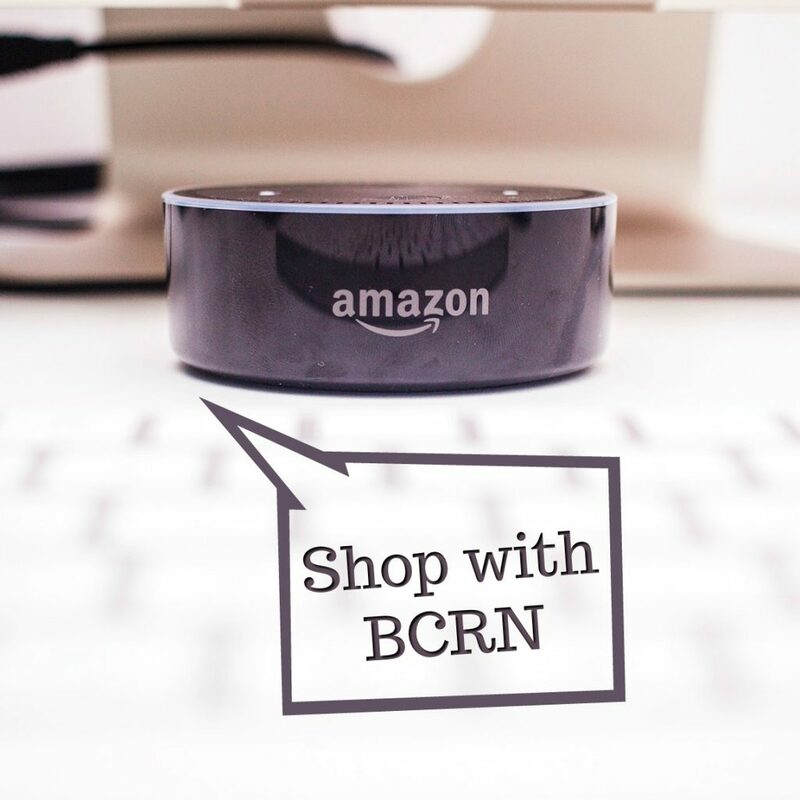 For BCRN, 2017 was a great year, and I am extremely grateful for your support. This year, there were over 300,000 page views on my blog. Thanks to you, I have gained important insight into the issues you want to talk about most, as evidenced by my most popular posts about recovery: how long does it take and what does it look like? I wrote them so long ago, in the midst of my own recovery, and I am so glad to know they provide relief and understanding for you still today. Like any year, 2017 also saw it’s fair share of challenges and setbacks. After a few years of normalcy, I experienced some health challenges this year that challenged my resiliency and positive outlook. 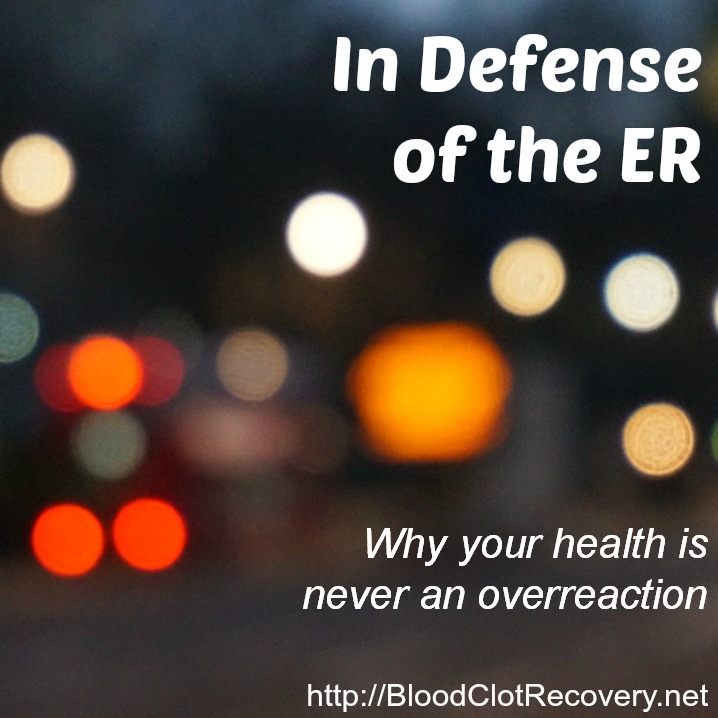 In August, I had a major bleeding incident that landed me in the ER for treatment. I’m still recovering from that by trying to stabilize my INR and boost my iron levels. 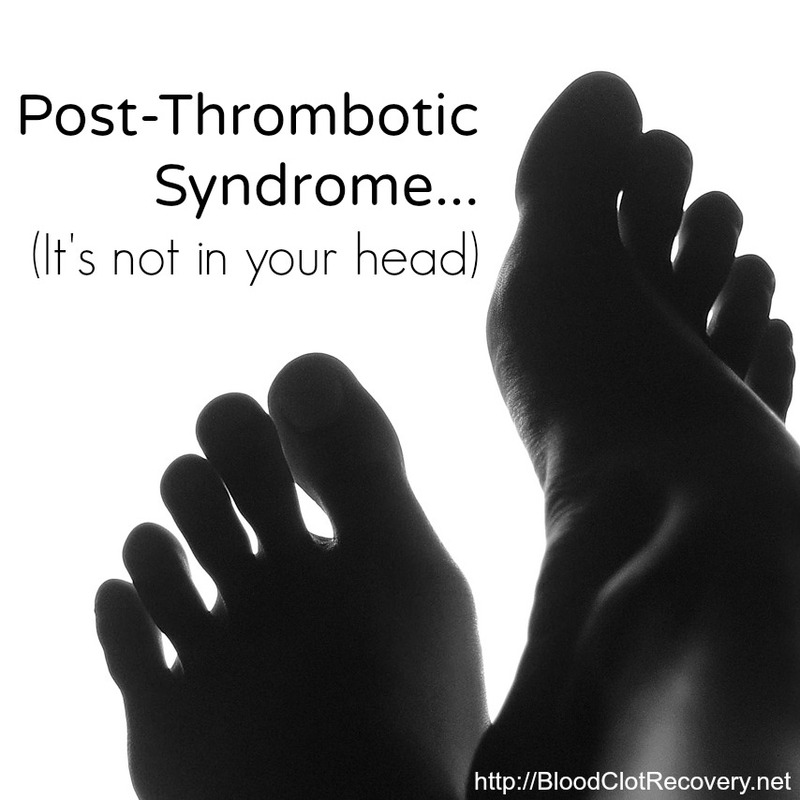 Yesterday, I had an ultrasound to check for a second blood clot in my left calf. There was not one, thankfully, but it scared me to think that there might have been. In addition, I watched someone very close to me suffer from a traumatic brain injury while on blood thinners, which was very different from my own experience in London. Thankfully, that person is now recovering, but there were some scary times in the last months of this year. These experiences reminded me of what I have been through in the past, and of just how fragile health our health is. These events have impacted me more than I anticipated, and they have been difficult to share outside of my private group (you should join us there, if you have not already). I’m still reeling from my experiences in a lot of ways. I know, however, I’m not alone, and many of you have already been down this road of uncertainty too. Through it all, I remain grateful for my health and grateful for the health of my friends and family. In just one instant, everything can change, and the end of this year made no mistake about reminding me of that. As I look ahead to 2018, I don’t want to stop growing, sharing, learning, and exploring. I want it to be the year of “new beginnings” and “big things.” I want it to be the year of smooth sailing, too, sailing above the water. I don’t quite know what that means yet, but I do know that I have big plans for BCRN, and I hope you will join me for the start of them. 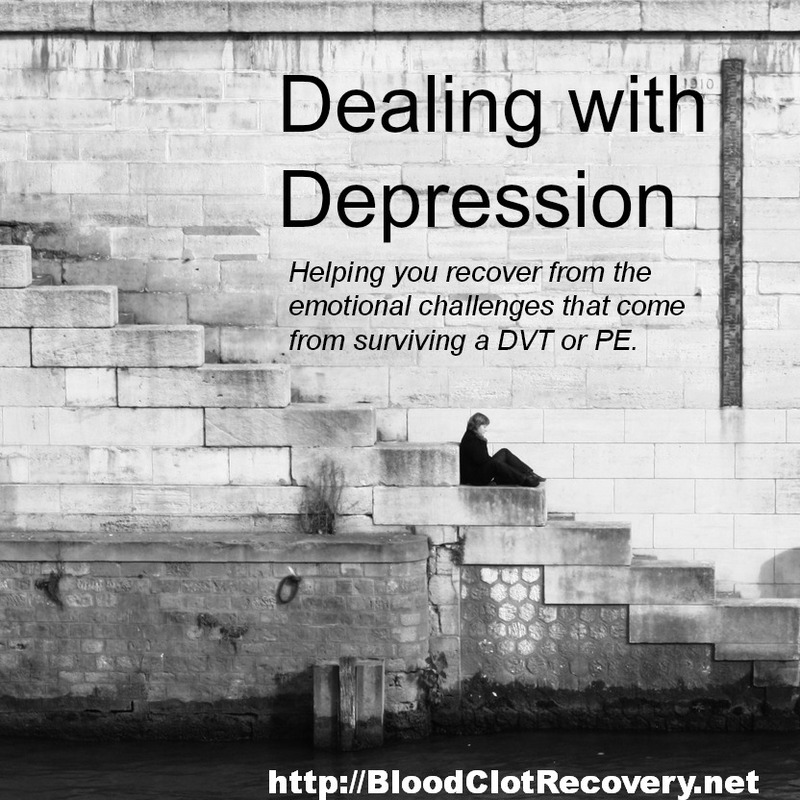 I want to write more, share more, and do more to continue to provide you with the best support available if you’re recovering from a blood clot. You, my readers, are the driving force behind the work I do here, and I can’t wait to see what’s in store for us in the year ahead. Let’s get out of the deep end and together, let’s forge ahead into what the future holds. My wish for you is that you have a wonderful holiday season, with the people that matter the most to you. 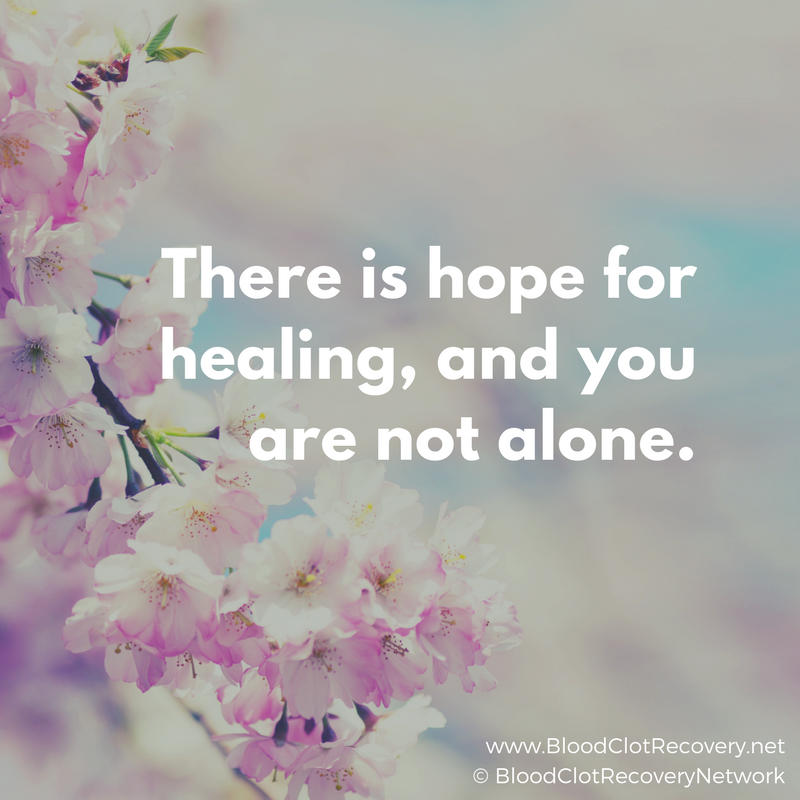 If you’re in pain, or you’re struggling with your health: you are not alone. No matter how hard it gets, don’t ever get up, and remember, it does get better in time. We’re still here, and we haven’t drowned yet. I wish you health, happiness, and a wonderful 2018. 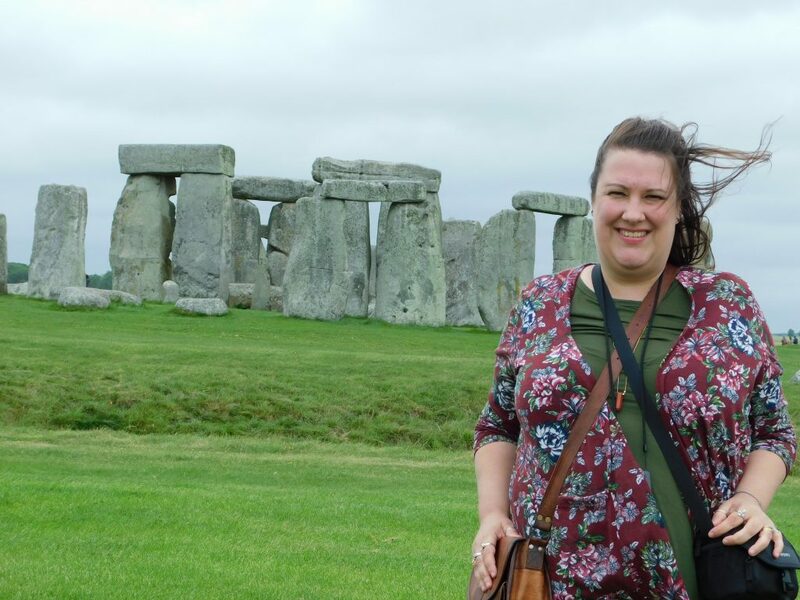 Me with the wind in my eyes at Stonehenge. 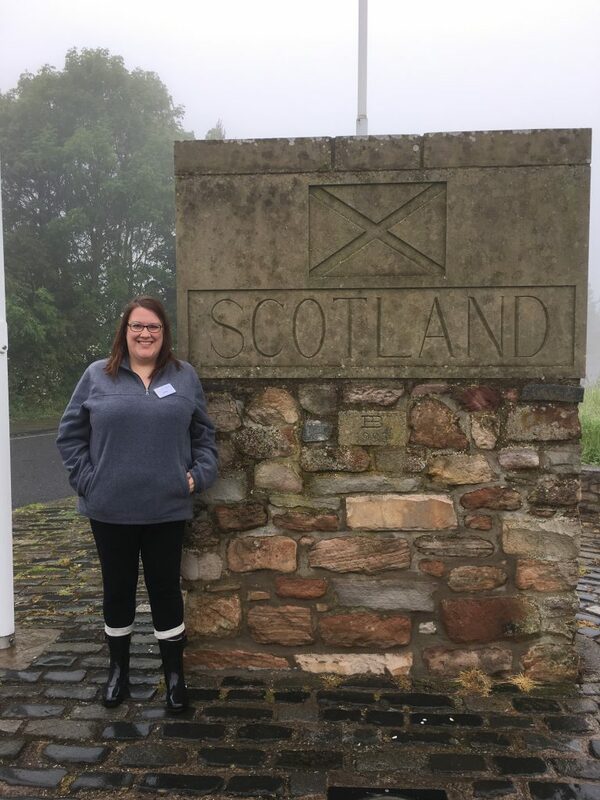 Crossing the border into Scotland. 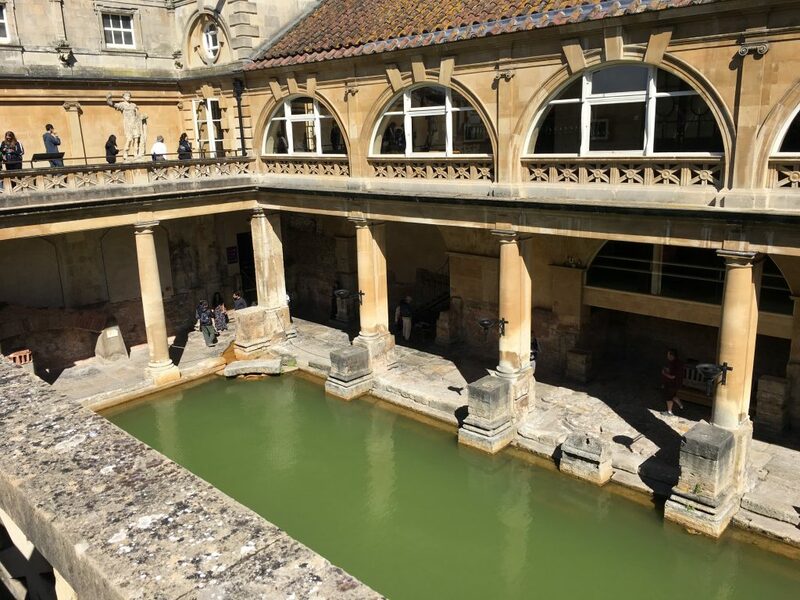 The Roman Baths from the outside. The actual spot of my fall. Thank you to the Tower’s Beefeaters who’s knowledge and quick response to my accident got me to the hospital as quick as possible, via cab. At the A&E in London. Add that to my list of experiences. 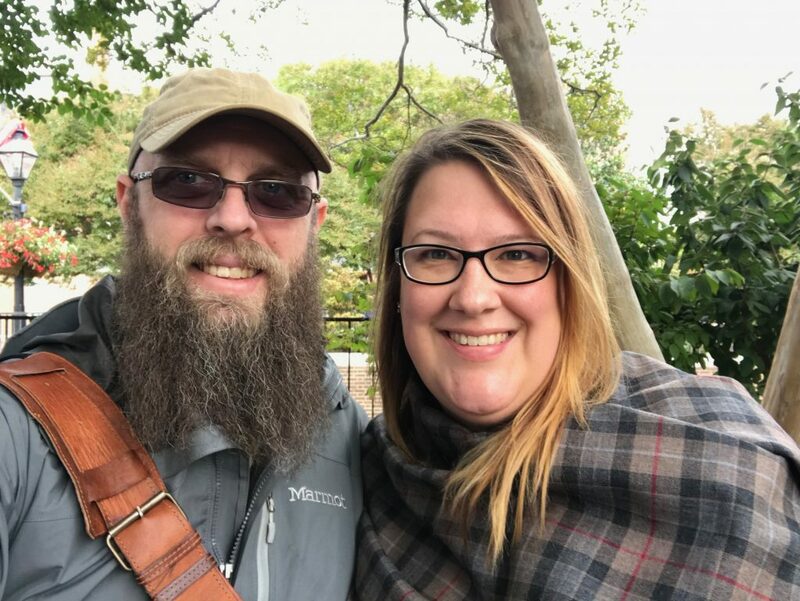 My husband and I in Washington, D.C. 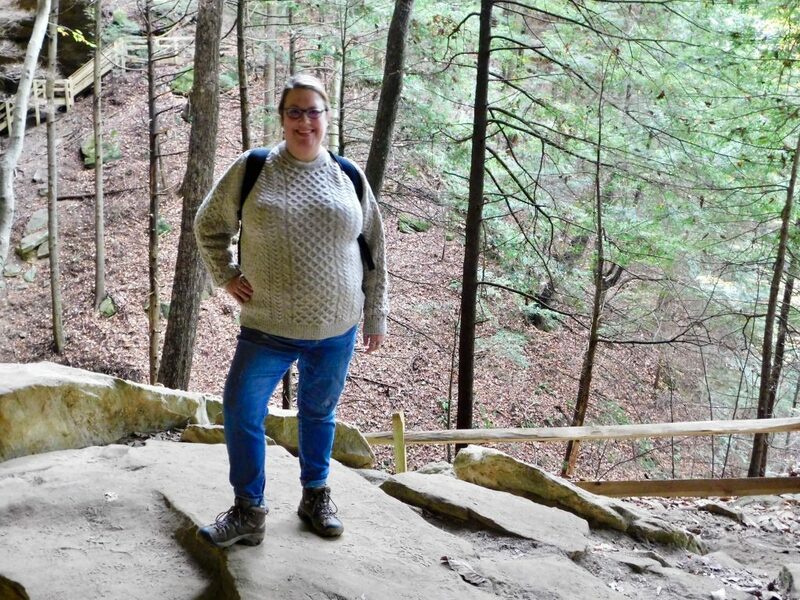 Hiking near our home in Ohio. Reader Writes In: How was your year? What are you most looking forward to next year? Does the new year have you worried about making commitments and promises that ultimately end in disappointment? 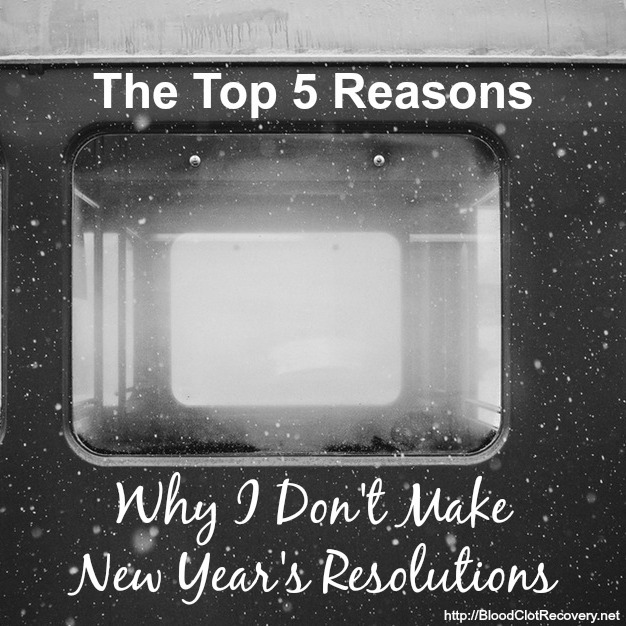 Find out why I don’t make New Year’s Resolutions. 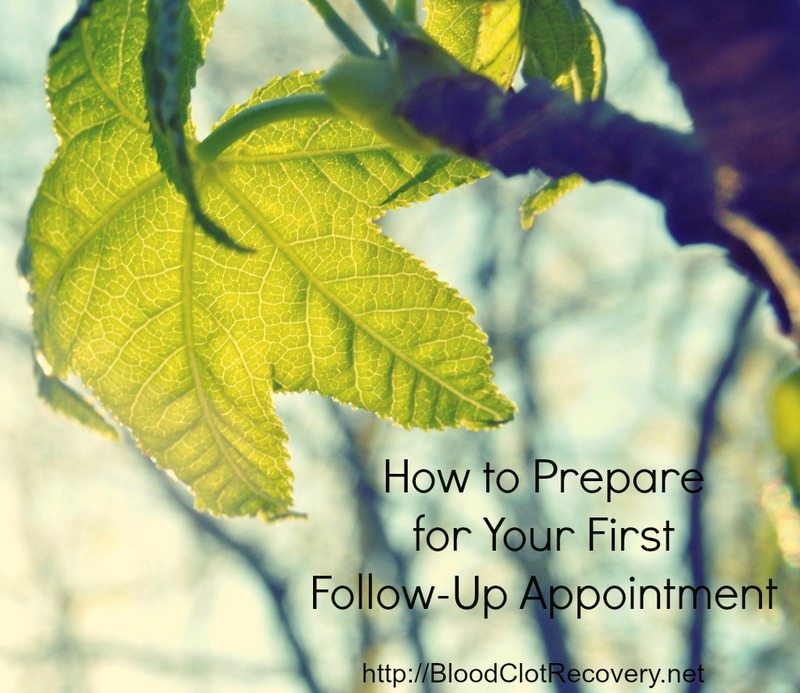 I remember quite vividly sitting in my doctor’s office one week after I was discharged from the hospital for my first follow-up appointment when I asked him, “Can I run again?” He assured me I could and would in fact if I so desired. “Can I run again now?” I questioned. He actually said I could run anytime I wanted, but my body would most definitely let me know when I was ready and when enough was enough. I set out that weekend to walk to the mailbox and back (thinking I would leave my oxygen tank inside for about 10 minutes) and I made it about six steps before my body said, “Enough is enough.” I retreated to the air conditioned living room, oxygen and a seat on the couch. I hated being inside, but I wasn’t ready to be outside in the dog days of summer, let alone on my feet for more than a minute or two. Emotionally, it was a setback I wasn’t at that time prepared to deal with; physically it was exactly what my body needed. 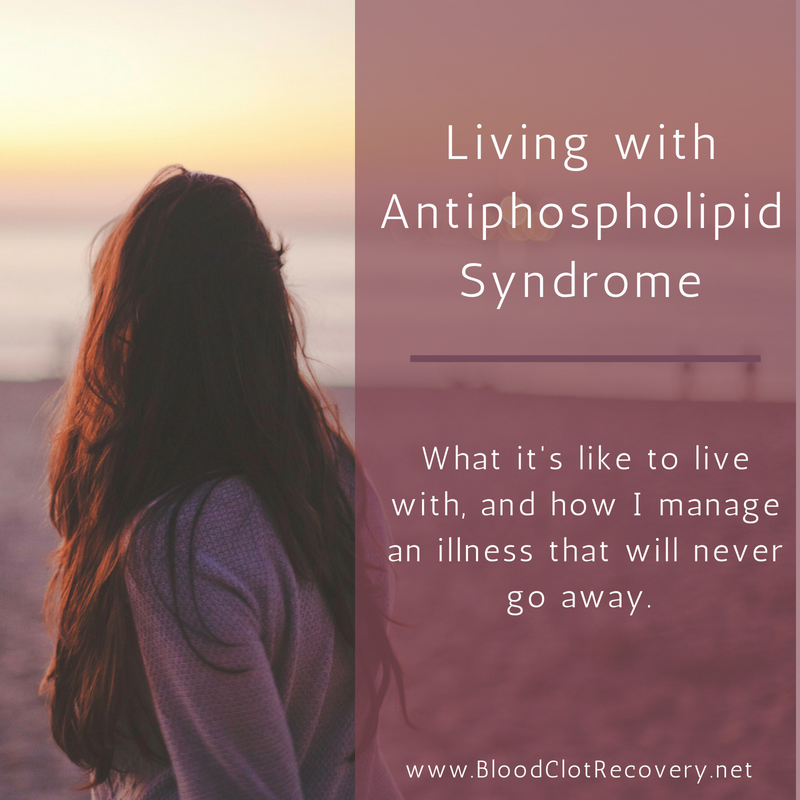 Once you are required to take blood thinners, especially if it is a lifelong prescription, you start to view life and the activities of it differently. 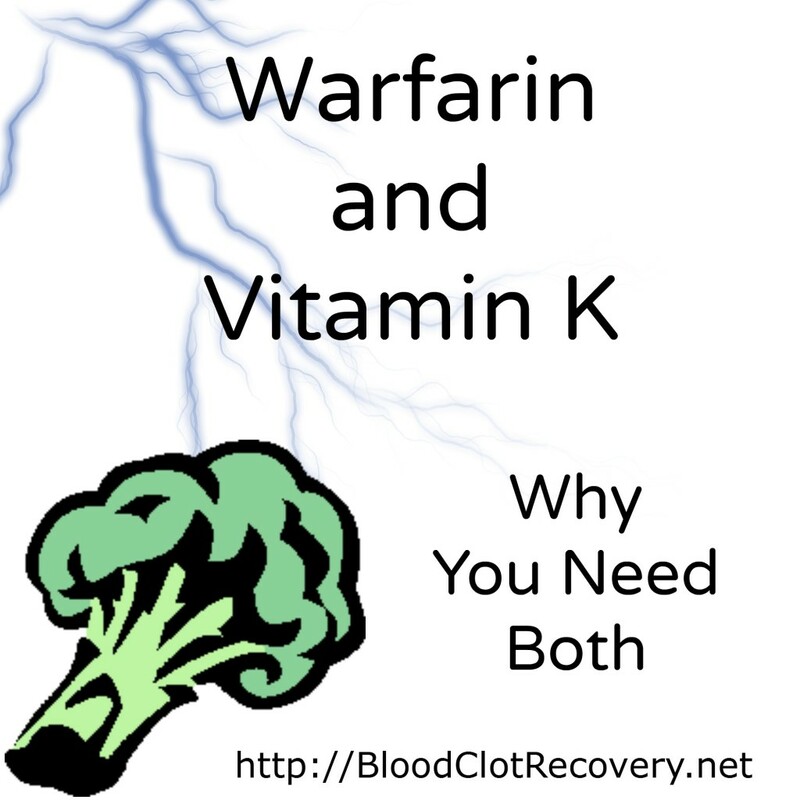 A side effect of warfarin, combined with increased INR levels, is the potential for internal bleeding that can be dangerous, and even life threatening. 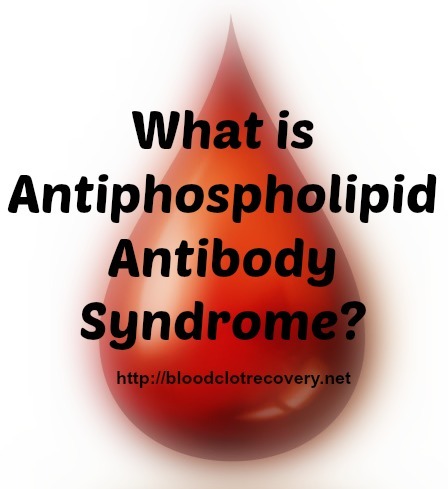 The fact is, blood thinners do save lives because they treat or prevent serious blood clots; but they also pose one potentially serious side effect, which is bleeding because they slow the clotting of blood. I don’t believe you have to stop living your life the way you want to when taking blood thinners. I believe we can still participate in the same activities we did before – or even new and better ones – we just have to be cautious of the potential side effects. It doesn’t mean we have to stop living, after all, many of us feel like we were given a second – third or fourth – chance, why not spend it how we want? You can still run, bike, hike, ride roller coasters, swim, travel, ride horses and learn archery along with a myriad of other activities. While a certain level of caution is necessary, especially if we hit our heads or see unusual bruising, there is nothing on the prescription bottle that says, “People taking this blood thinner should not___________.” I personally was never given a restriction on any activity, just to listen to my body – I would know what I could do, when I could do it and for how long. So far, that has been true. Most of the time, bleeding caused by blood thinners is not serious or life threatening, although it is worrisome and inconvenient. Some examples of non-life-threatening bleeding are nosebleeds; a small cut while shaving with a razor; or minor cuts or skin tears. 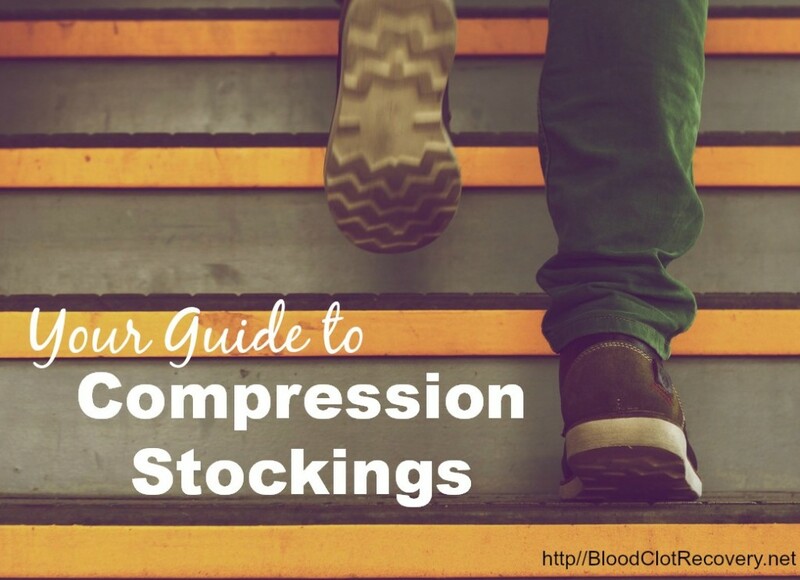 All of these types of bleeding may bleed longer than normal, but are not necessarily cause to panic and seek medical attention because they are superficial and can usually be controlled with added pressure apply to the wound for a longer amount of time. It takes me about 20 minutes to stop a nosebleed, which sometimes happen with the slightest wrinkle to my nose. 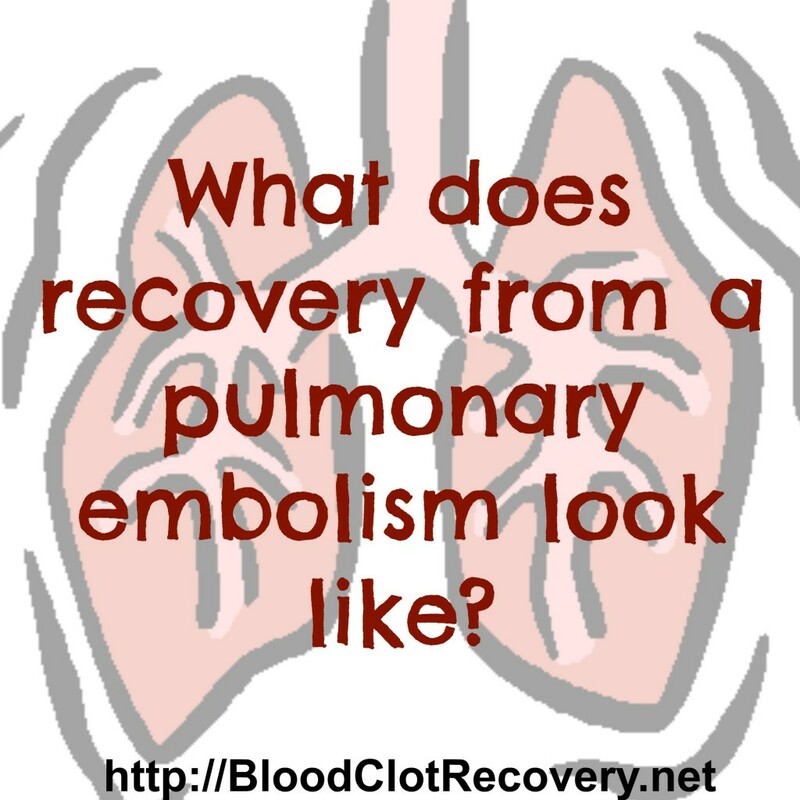 Several products also exist to aid with clotting such as bandages, gels and powders like QuickClot, which aid in blood clotting, but do not disrupt the blood’s natural clotting abilities. 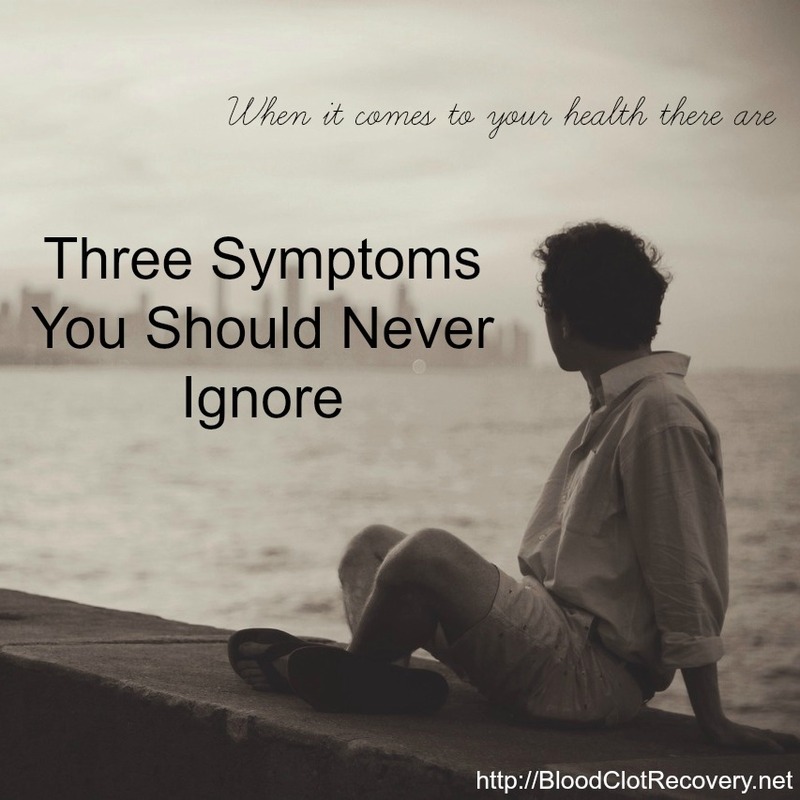 People taking blood thinners do not need to stop the activities they once enjoyed, especially after we are feeling well enough to participate in them again. They just need to take some extra precautions to maintain safety and peace of mind. For example, we do need to be cautious about things like high risk sports that may result in a head injury, but we do not need to stop them. We need to take extra precautions to increase our safety like wearing proper head gear when biking; gloves when gardening or working with tools and taking care with a few extra minutes when trimming hair and nails. Many people taking blood thinners also wear a medical alert bracelet to let others know they are on certain medications – like first responders in an accident – which can really add to peace of mind. You can find a myriad of medical alert bracelets on the internet and even find ones specific to sports and physical activity through RoadID. It could really save your life in an emergency or accident, especially if you are not able to speak for yourself. No matter what activity we participate in, accidents do and will occur and sometimes these can produce superficial bleeding like from a cut or nosebleed and sometimes it could be serious, like if in a car accident or fall down the stairs. 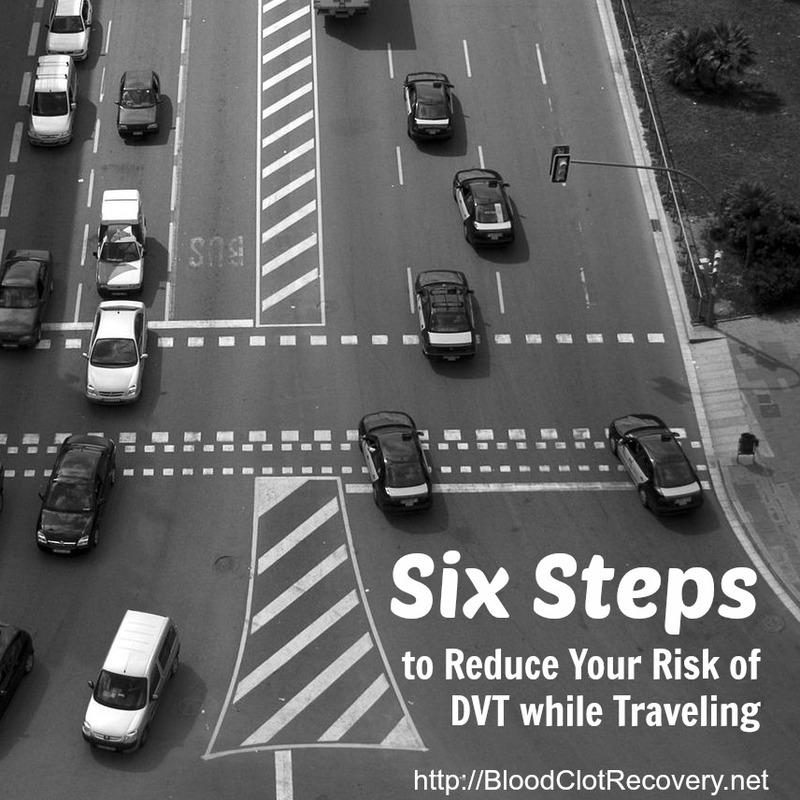 Just because we are taking blood thinners does not mean we need to stop or stop considering participating in activities that are viewed as dangerous. We can still participate in them, or even learn them for the first time, with a few extra safety precautions and common sense awareness. If you see unusual bruising or sustain a serious head or abdomen injury, you should contact medical professionals. There is no reason to stop living – even the life we’ve always imagined – when taking medications that undoubtedly save our lives. After all, it’s why we’re still here. Share your story. 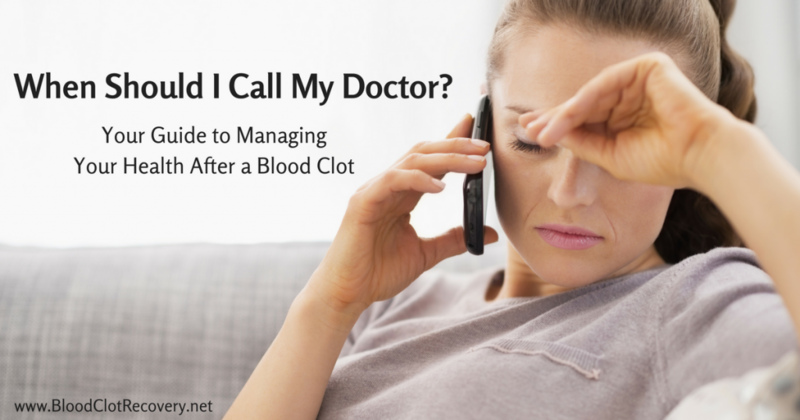 Does taking blood thinners impact your decisions about normal day-to-day activity? What about extreme activities or sports? 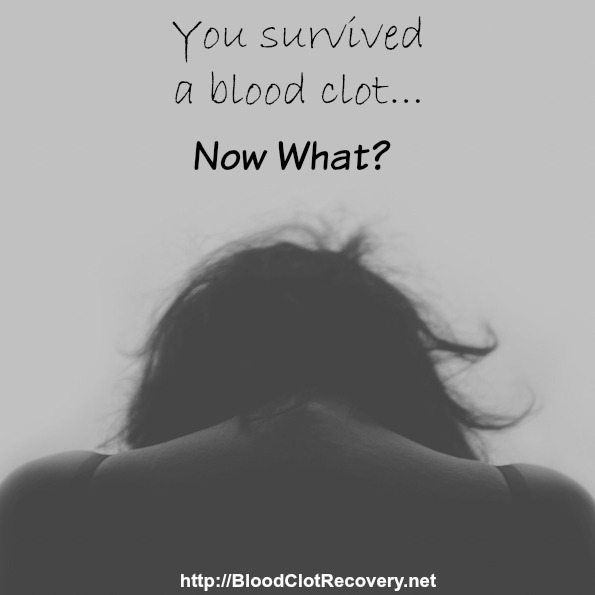 Have you given something up because you are worried about life-threatening bleeding? 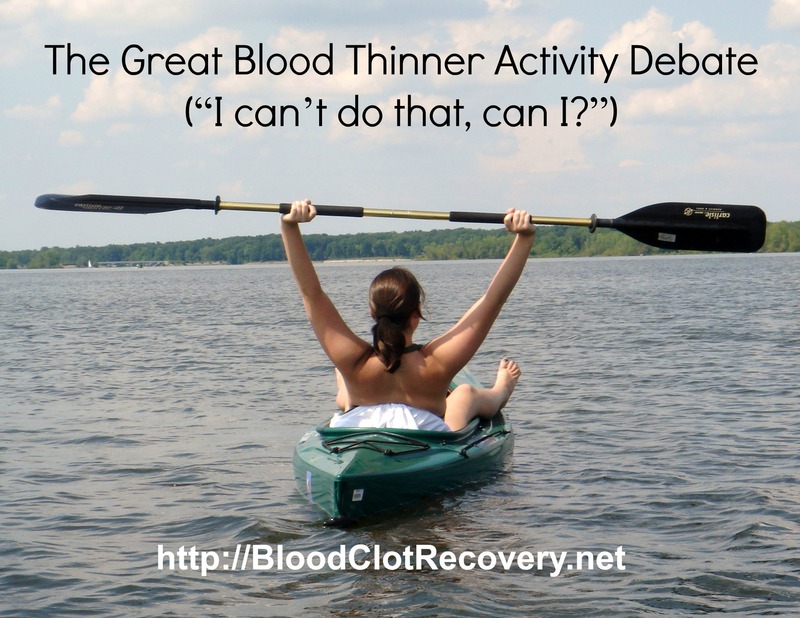 Did you start an activity you had always dreamed of participating in because of taking blood thinners?